After leaving his lazy son in charge of the Egg Plant, the Easter Bunny realizes that unless he can get some help to fix the plant, there won't be any holiday goodies this year! Note: This event was only available from 8 April 2009 until 21 April 2009. 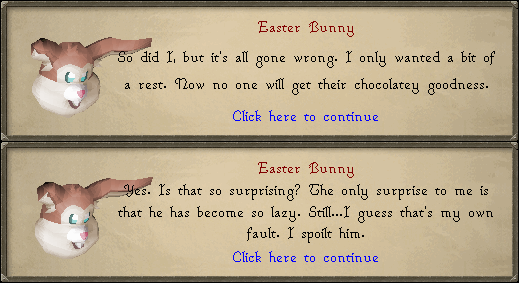 Speak to the Easter Bunny located southwest of Falador and just East of the Crafting Guild. 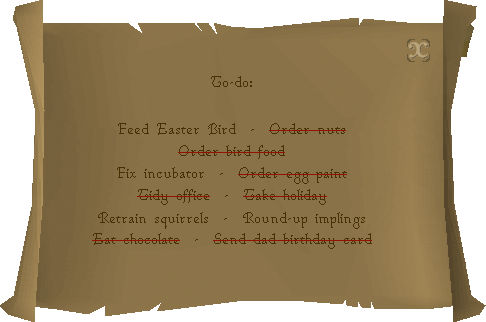 Start by visiting the Easter Bunny located southwest of Falador and just East of the Crafting Guild. When you talk to the Easter Bunny he will explain that there will be no chocolatey goodness for anyone this year. This is because he left his son in charge of the Egg Plant, where the lovely, sticky treats such as chocolate eggs are produced. Since he is so lazy, it's all in pieces. The reason for his son's laziness could possibly be because the Easter Bunny spoiled him. Ask the Easter Bunny if you can help and he will gladly accept your offer. He asks you to fix up the Egg Plant to get it working again. Before continuing, the Easter Bunny will make a one-time offer to empty your inventory into your bank for you. 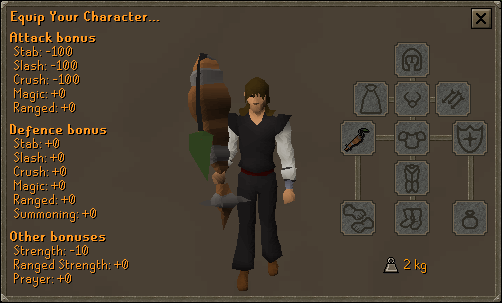 If you accept, he will bank all items in your inventory, but not items you are wearing or have equipped. Climb down the Rabbit Hole a few spaces away from the Easter Bunny. You will be transformed into a rabbit as you do so. Head northwest until you see a large open room. Continue north until you see a Rabbit hole. Enter it. You will be transformed back into a human. Go north to the back of the room where you will find Easter Bunny Jr, who isn't the most polite bunny. He doesn't know how to fix the Egg Plant, but he does know that his dad has a to-do list in his office, which is located just East of Easter Bunny Jr. The Easter Bird is located in the center of the room. Once you wake him up, you discover he is hungry. Just East of the Easter Bird are sacks full of bird food. Examine each one and find the correct one according to the hint. Once you give the Easter Bird food, you discover it is now thirsty. Go north and get water from the Water Bucket. You do not need to bring a bucket! The Easter Bird is now satisfied and you should speak to Easter Bunny Jr who is now right next to the Easter Bird. Tell him the Easter Bird is a highly intelligent lifeform which provides profit through chocolate. 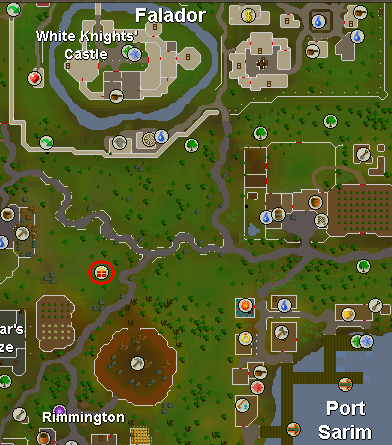 Easter Bunny Jr asks you to round up the implings flying around in the tunnels. Head back to the office where you will find an Impling Net and an Impling Jar. You will need five Impling Jars. Now head into the tunnels East of the Easter Bird and start catching implings! Once you have all five implings head over to the Egg-Painting machine south of the Easter Bird and use one of the implings with it. Talk to the Easter Bunny and tell him "An impling painting an egg twice its own size is pretty cool." 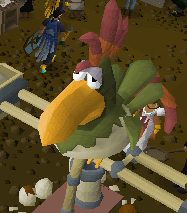 Head over to the Broken Incubator north of the Easter Bird and talk to the Impling Worker. He will tell you that you can find blueprints in Easter Bunny Jr's bedroom. They are located in the north part of his room. 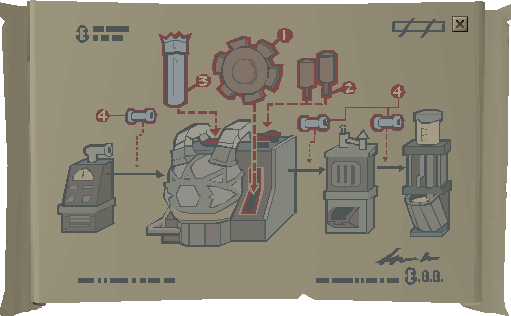 Use the Cog, Pistons, and Chimney with the Broken Incubator; use the Clean Pipe with the Incubator controls; use the Sooty Pipe with the Coal Supply; use the Wet Pipe with the Water Tank. This is the order you must do it in. Congratulations! You fixed the Incubator! Now talk to the Easter Bunny and tell him the machine is one-of-a-kind. Head over to the Nut Machine west of the Easter Bird. Talk to Big Ben, a cute, fluffy, little squirrel, who doesn't enjoy being called cute or fluffy. Offer him 20% of the nuts. Big Ben forgot how to sort the nuts, so you're going to have to teach him. To train them, you must discard ten items correctly. If you discard a correct item, your count goes back to zero. After you have completed this, talk to to the Easter Bunny Jr and tell him how the squirrels aren't vermin but rather highly skilled defect detectors. Talk to Easter Bunny Jr. in the Easter Bunny's office. There will be a quick cut scene of him putting on an Easter Bunny suit. He will then tell you to talk to his dad. Talk to the Easter Bunny and you see another quick cut scene of him taking off his suit. As a reward, you get an Easter Carrot, which you can whack people with (harmlessly, of course!) similar to the Rubber Chicken. You also get the "Around the World in Eggty Days" emote. If you have not gotten the bunny-hop emote yet, you will also receive that.